Labour’s John McDonnell was accused last night of failing to condemn an activist’s call for Theresa May ‘to shoot herself’ over the Windrush scandal. 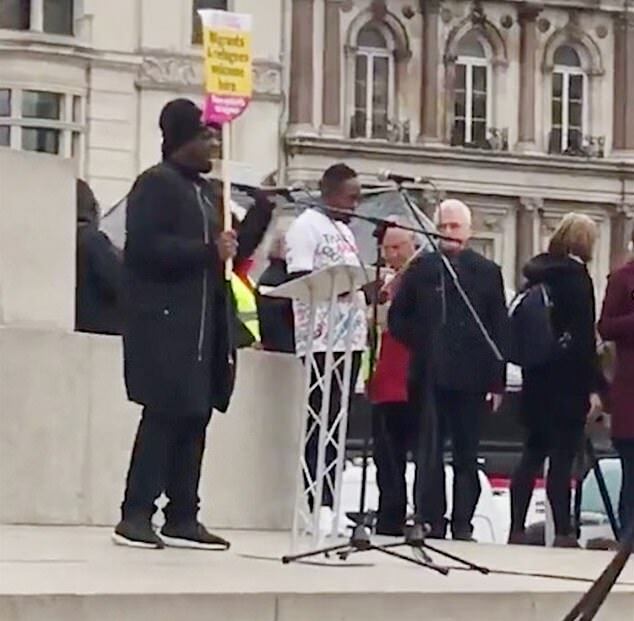 The Shadow Chancellor faced calls to explain why he did not immediately disown the abusive remark, made at a rally in London he was addressing. 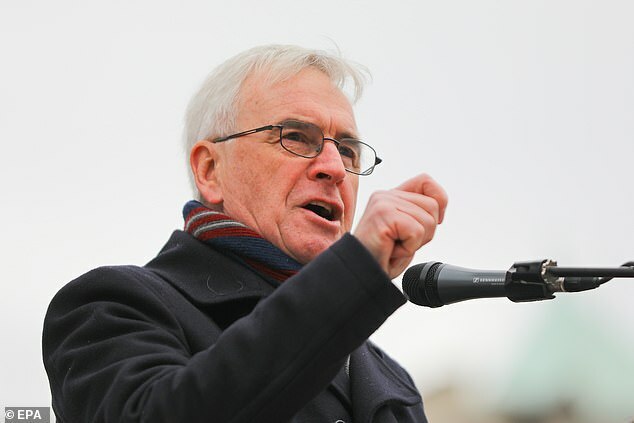 Mr McDonnell was standing in the wings as Stand Up to Racism co-convenor Weyman Bennett attacked the Prime Minister over the Windrush scandal of Commonwealth migrants wrongly deported. He said: ‘Our advice to her [the Prime Minister] is very, very simple advice: shoot yourself. And the reason why you should shoot yourself is because… we’ve have seen people lose their lives as a result of the Windrush scandal. The remark came days after Labour leader Jeremy Corbyn called for a ‘safe space’ for political debate after Remain MP Anna Soubry was confronted by protesters outside of Parliament and called a ‘Nazi’. It also came after Mrs May called on Mr McDonnell to apologise for comments about ‘lynching’ the former Pensions Secretary Esther McVey four years ago. 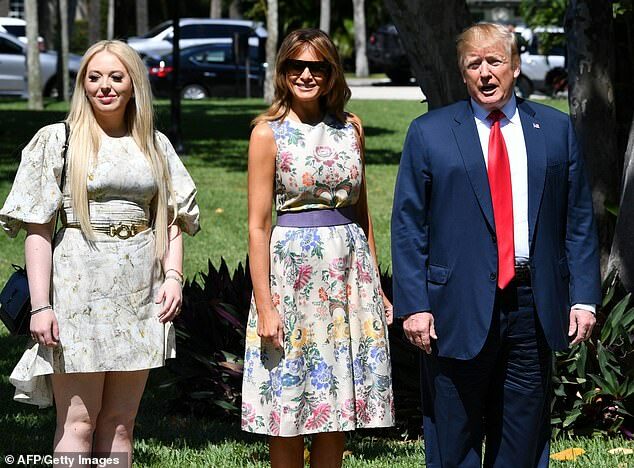 He has insisted that he was not indicating approval when he quoted a member of the public. Former Labour acting leader Harriet Harman, who last week called for new measures to protect MPs from abuse, reacted with horror at yesterday’s ‘shoot herself’ remark. Tories demanded an apology from Mr McDonnell, accusing him of applauding the speech by Mr Bennett. Tory chairman Brandon Lewis said: ‘In a week where we have seen politicians from all sides come together to condemn abusive behaviour towards politicians and journalists, to see the Shadow Chancellor applauding. Brussels’ most senior Eurocrats are set to publish two letters tomorrow in a last-ditch effort to help Theresa May get her Brexit deal through the Commons. 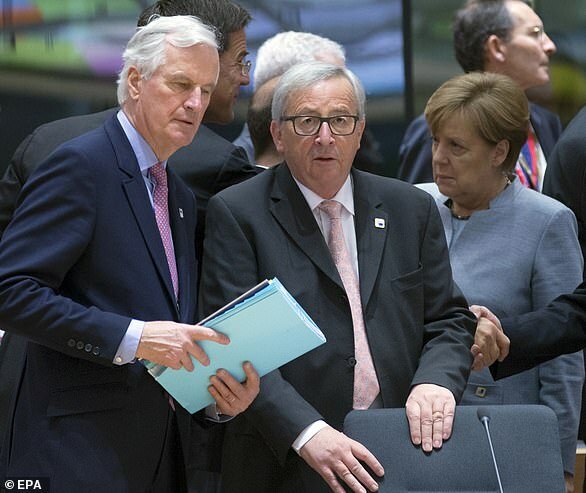 The Mail on Sunday understands EU Commission president Jean-Claude Juncker and EU Council president Donald Tusk will each send a separate letter designed to reassure MPs over the controversial ‘backstop’ measure that could see the UK locked to EU rules indefinitely. But the correspondence is likely to fall far short of the demands of Tory Brexit rebels who want the Prime Minister to reopen talks with the EU to rip out the fallback from the terms of her withdrawal agreement. Brussels sources say that Mr Juncker’s letter will vow to ‘expedite’ trade talks between the EU and the UK to try to avoid the ‘backstop’ ever being triggered. He will set out a process for a new trade deal to be done as quickly as possible but is unlikely to include a date for talks to start. Meanwhile, Mr Tusk will reiterate the 27 other EU countries have a ‘firm determination’ to have a new relationship with Britain in place by the end of 2020 to avoid the measure kicking in. He will add that if the deal is not ready by that point, all European states will work to have it signed by 2021 at the latest, meaning the UK would only have to shadow EU trade and customs rules for an additional year. Last night Downing Street insiders said they expected the letters to be published on Monday evening for maximum impact ahead of Tuesday’s Commons showdown. Even with a trickle of Tory MPs climbing down from their opposition to Mrs May’s deal, she is on course for an defeat of historic proportions. After three full days of debate, Mrs May’s allies are braced for a thumping defeat, with efforts focused on keeping the tally to ‘under three figures’. Mrs May will likely address MPs and the public late on Tuesday evening or early on Wednesday, with Ministers expecting her to announce yet another trip to Brussels to try to squeeze more concessions from the EU. 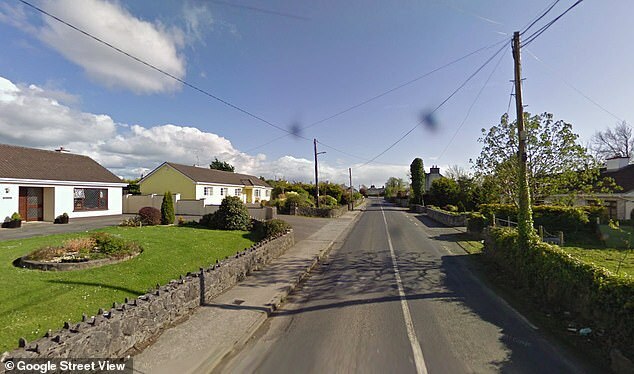 Officials in Brussels, Dublin and London are all said to be ‘acutely aware’ that the backstop is the last major sticking point to a deal being done, with the Irish government expected to come under increased pressure to soften their objections to the measure being watered down. But last night Brussels sources said in response to the likely defeat, attention would instead begin by focusing on a rewriting of the non-legally binding political declaration that sets out EU and UK hopes for future trade arrangements rather than reopening the withdrawal agreement treaty on the terms of divorce. Before he became Shadow Chancellor, Mr McDonnell sparked outrage in 2014 for repeating a comment that Ms McVey should be lynched. To the fury of Ms McVey and fellow Tories, he has refused to apologise for the remark, insisting he was only quoting what someone else had said. He has also stressed that he was not inciting violence against the Tory MP. Ms McVey has said that the remark made her life ‘difficult and dangerous’ and claimed that it had led to her being followed. Last night, Mr Bennett – a Socialist Workers Party member – insisted that he had meant the ‘shoot herself’ advice ‘metaphorically’. He said he himself was from the Windrush generation. Theresa May’s own diplomats have written off the chance of her striking a deal with Brussels and are planning for Brexit to be delayed – and the chaos of No Deal. With Mrs May facing defeat in the Commons, senior Foreign Office officials held a series of meetings over the past week to ‘wargame’ their political strategy. All ‘proactive policy-making’ is to be placed on hold. The source painted an extraordinary picture of a Government that has been paralysed by the political drama playing out in the Commons. ‘There were many heads in hands around the tables – gallows humour prevailed,’ the source said. The source added: ‘The Government is now effectively in crisis mode. With up to one fifth of FCO staff being withdrawn from frontline work, the ring-fencing of key priorities means that some departments will face bigger staff losses. ‘There is no clarity on what the policy is, but No Deal is now the default planning assumption. ‘The second-level assumption is that Brexit will not happen on March 29. But in truth no one has any idea what to do or what to expect if the deal is rejected. Officials in Education, Justice and Welfare have also been asked to take up new roles within weeks. The secondments are expected to last at least six months. Jonathan Slater, permanent secretary at the Department for Education, told staff the priority was ensuring ‘key services continue to operate’ but other areas of the department’s work were likely to be mothballed.